There are no comments for Louis Xiv (1638-1715). Click here to post the first comment. 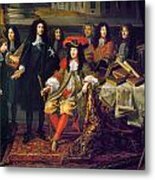 LOUIS XIV (1638-1715). 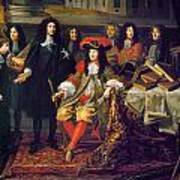 King of France, 1643-1715. 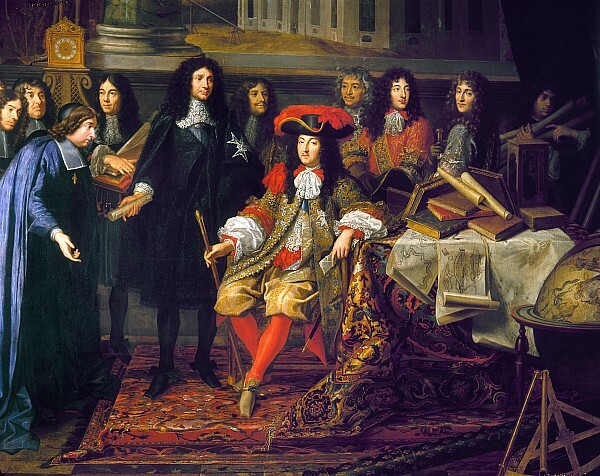 Louis (seated at center) in a symbolic commemoration of the founding of the Science Academy in 1666 and the Observatory in 1667; Jean-Baptiste Colbert stands at the king's right, and the architect Charles Perrault stands behind a pile of books. 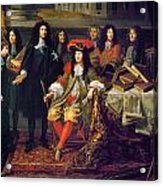 Detail of a painting, c1667, by Henri Testelin, after Lebrun.